Looking for craft beers in Scout Area of Quezon City? Your wish came true already! Barley Gastropub serves decent range of craft beers, local and imported alike. 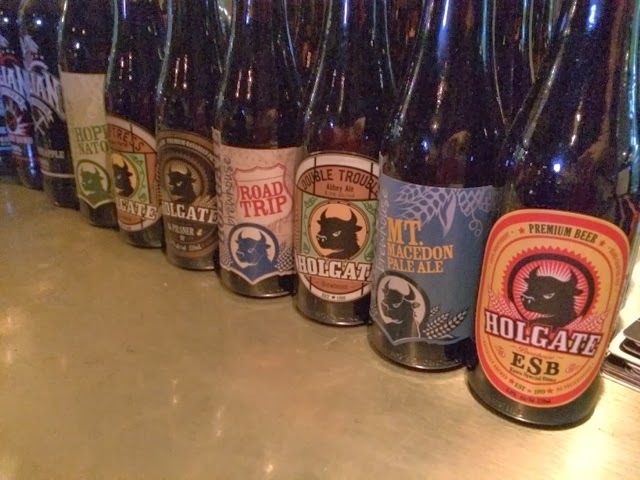 They have varieties from Global Beer Exchange beers and they also have complete line up from the Australian craft beer that i previously blogged about, Holgate Brewhouse. For the local craft brews, they have Pauly's in tap and mostly in bottles, they also have Katipunan and Bogs brew. Besides the great list of craft brews, their food are equally awesome. Last night we tried their Hamburger and its really delicious and obviously homemade patty because its pure beef and no extdnders! Paired it with Holgate ESB made it extra yummy! 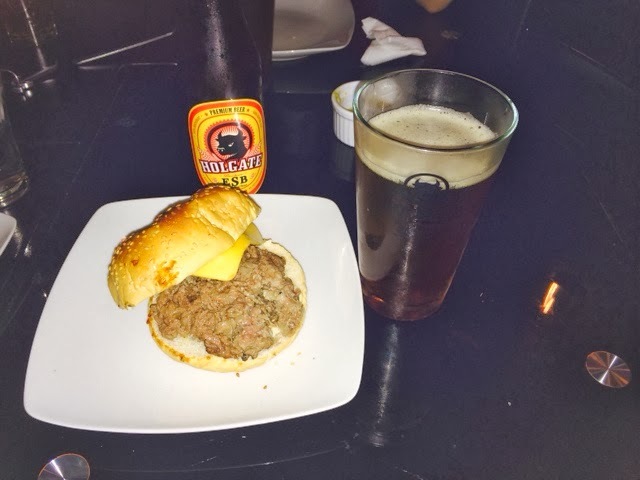 The flavors of both beer and burger just perfectly bursts inside my mouth. 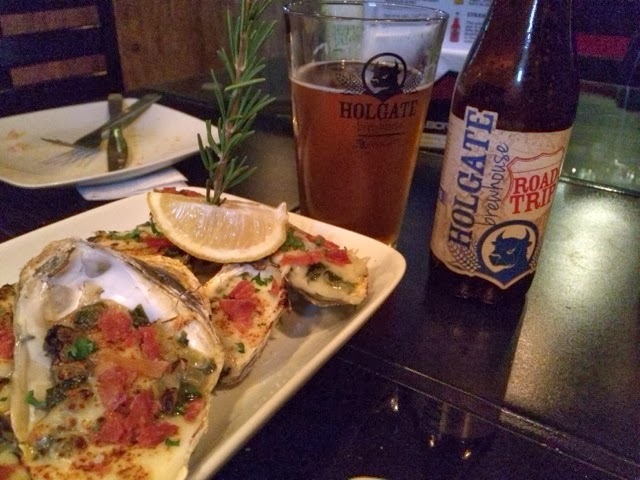 My wife ordered rockefeller oysters and paired it with Holgate roadtrip. Its just perfect! The thing is that we wonder why this restaurant always has few customers despite the good service and delicious food and beer. What else is lacking? As a businessman myself, it kept me wondering whats the secret to a successful restaurant, i can see lousy diners but always jam packed. Is it always the price and Location? Guys, you be the judge. Try their menu and beers!